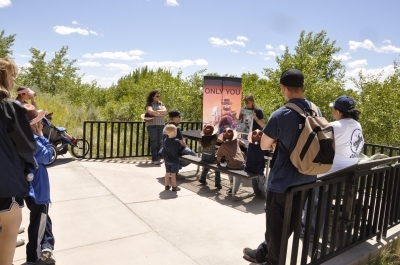 Cress Creek Nature Trail is a self-guided interpretative trail that highlights the unique natural characteristics of eastern Idaho. The 18 interpretative signs discuss topics ranging from the geologic features that can be seen from the trail such as volcanoes, to the vegetation found in the surrounding wet and dry environments. From Idaho Falls, take the North Yellowstone Highway north through town. Follow Highway 26 northeast towards Ririe and Jackson. About 3 miles past the Ririe turnoff, follow the signs to Heise. Bear right after crossing a large irrigation canal. Cross the Snake River and turn left immediately onto the gravel road headed towards Rexburg. 1.25 miles on the right side of the road is the trailhead parking area. During a visit to Cress Creek Nature Trail you may see deer, moose, rabbits, small lizards, and eagles. 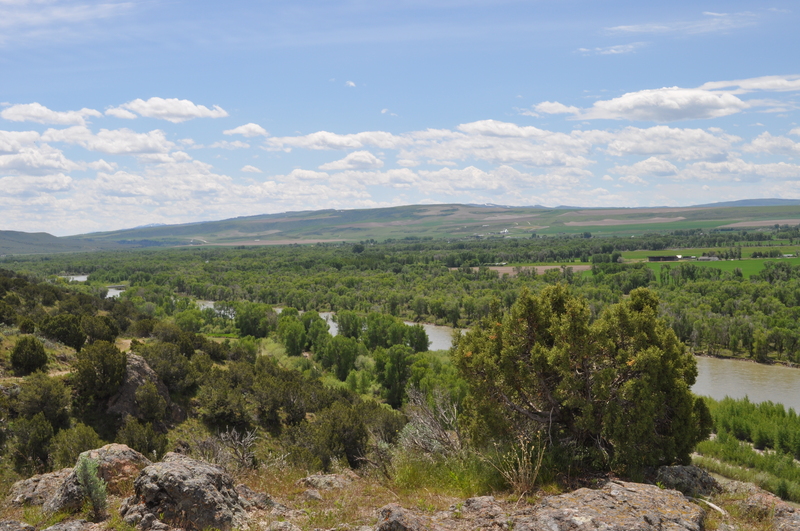 While traveling through dryer desert environments along the trail, the expansive cottonwood forests are easily viewed below along the South Fork of the Snake River. The trail attracts many local visitors and is especially popular with school groups (the idea of an interpretive trail was first proposed to the BLM by school teachers from the local town of Ririe). The BLM website has a map, virtual tour, downloadable student quiz with answer key and more. Interpretive programs are available to school and scout groups subject to availability. Cress Creek. Photo by Sarah Wheeler. 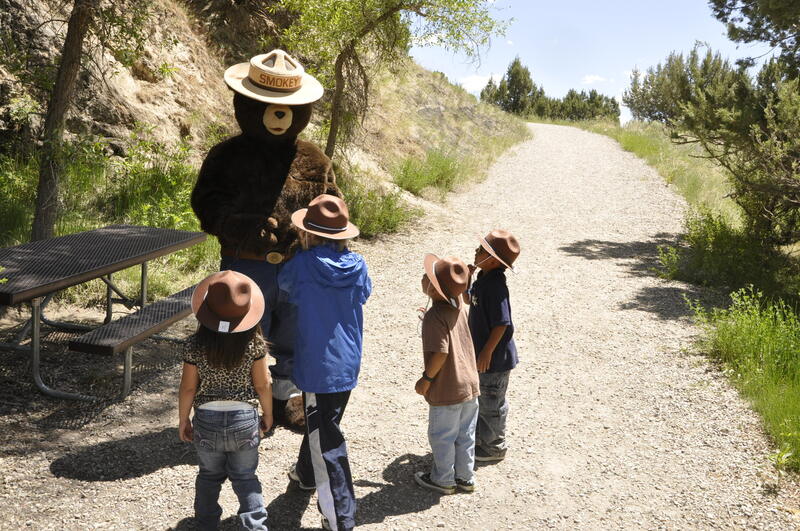 Future rangers listening to Smokey. Photo by Sarah Wheeler. Early forest fire education. Photo by Sarah Wheeler.